It was a beautiful day out the other day and I knew I had to take the You Me Capri top out for a spin. 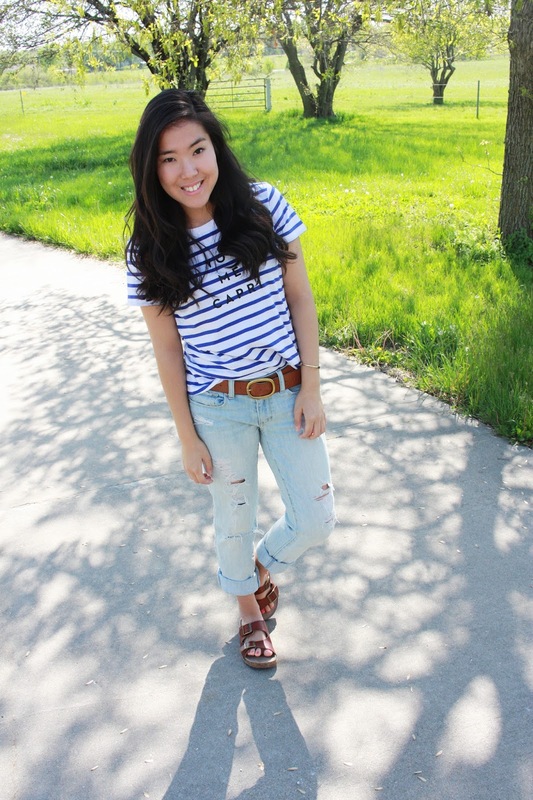 It will most definitely become a summer staple item for sure! 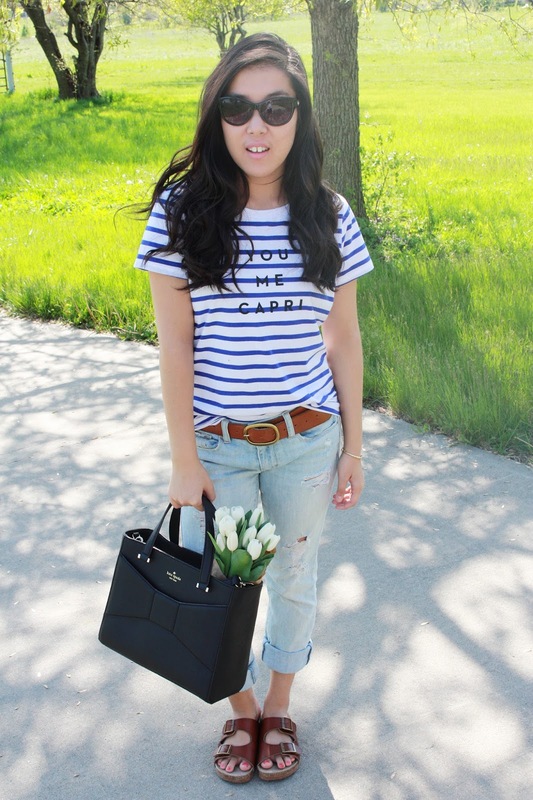 I wore this to run errands and I love the casual chicness of this outfit. 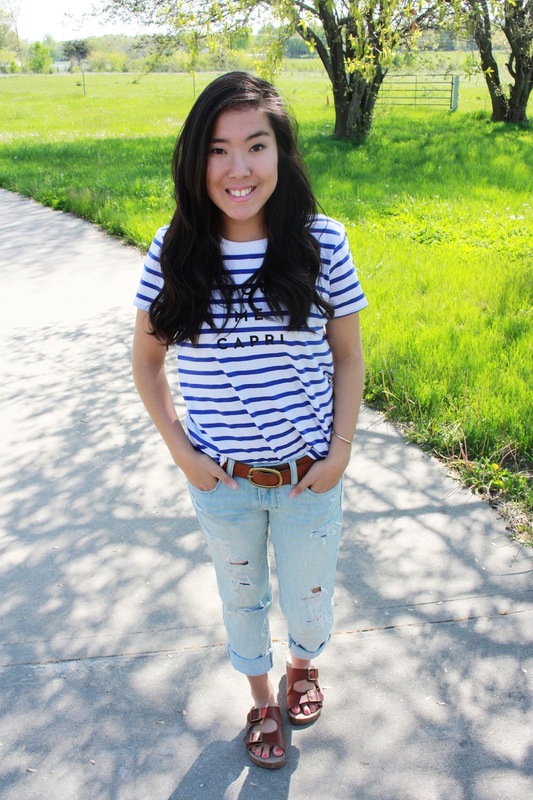 The ripped denim and faux Birks give it this Cali cool vibe while the blue stripes give it a preppy edge. 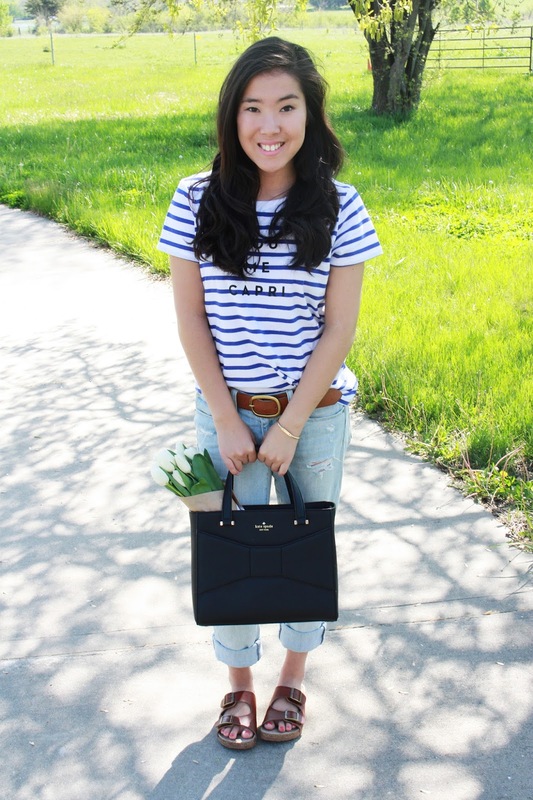 This is me in an outfit, a little bit preppy, a little bit Cali cool. The whole Milly collection is adorable and I'd give to have it all! I love what I bought and you can be darn sure that the striped dress will be making an appearance on here. I think it's the perfect summer sundress! "capri on the almalfi coast is my ultimate holiday destination"